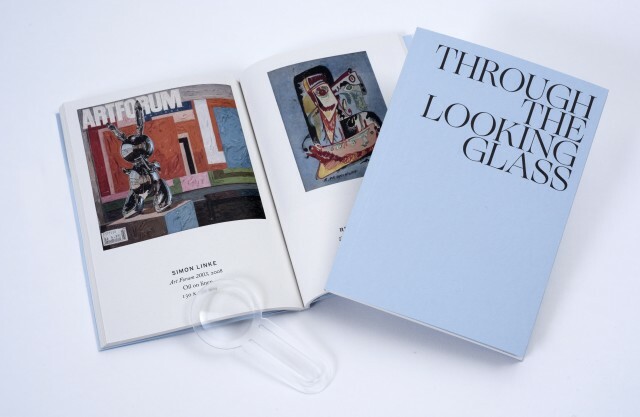 Published by Cob Gallery on the occasion of the group exhibtion Through the Looking Glass, curated by Alix Janta-Polczynski, Lauren Jones and James Putnam. With special thanks to James Birch, Tiger Chadwick, Kitty Finer and She who shall not be named. Catalogue design by Charlie Behrens, printed by Creative Color LTD.
Each catalogue comes with its own mini magnifying glass.